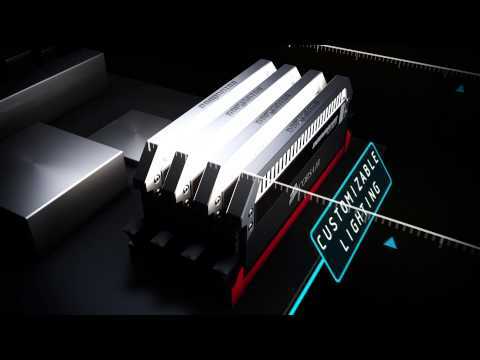 Product Overview Dominator Platinum high-performance DDR4 memory is designed for world-class system builds. It's built with hand-screened ICs, undergoes rigorous performance testing, and incorporates patented DHX cooling for reliable performance in demanding environments. The DDR4 form factor is optimized for the latest AMD and Intel® DDR4 motherboards, and modules are compatibility-tested across multiple AMD and Intel® DDR4 motherboards for reliably fast performance. Extracting maximum performance is easy -- built-in XMP 2.0 support gives you trouble-free, automatic overclocking. Dominator Platinum modules work with the Corsair Link system for temperature monitoring, and you can even enhance the subtle white LED lighting by adding a light bar kit (not included, available separately) to match or contrast it with your system. Features • Hand Screened Performance IC’s: Using best of the best IC’s available leads to highly overclockable memory. • DHX Cooling: Patented technology pulls performance-robbing heat away from the modules and allows Dominator memory to run at a cooler temperature. • Customizable Light Bar: Customize the look and feel of your memory with upgradable light bars and Dominator Airflow LED fans (not included, available separately). • Performance and Compatibility: Dominator Platinum DDR4 is optimized and compatibility tested for the latest AMD and Intel® motherboards and offers higher frequencies, greater bandwidth, and lower power consumption. • Corsair Link Compatibility: The Corsair Link Digital connector allows you to monitor your memory’s temperature for an optimal combination of performance and stability.